This one is held downtown at the Altman Building on W. 18th St. It runs Saturday, April 5 and Sunday, April 6. Appraisals by John Bruno, star of the hit PBS series, Market Warriors, will be held on Sunday from 1-3 p.m. Admission: Adults $12, youths 12-21 $6, under 12 free with paid adult. For more information, visit flamingoeventz.com. Wm. 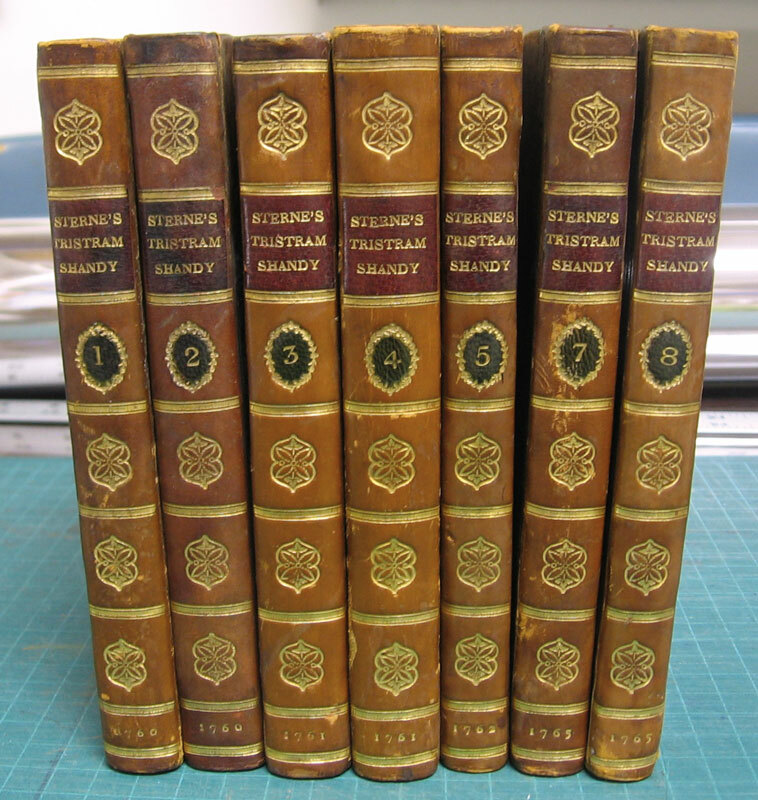 H. Adams Antiquarian Books of Hobart, New York, will show an incomplete but rare set of first and second editions of The Life and Times of Tristram Shandy, two volumes of which are signed by Sterne. Six of the seven volumes have the bookplate of Edith Taylor and her home , “The Glen,” in Portsmouth, Rhode Island. Price: $6,000. For more information, visit whabooks.com. 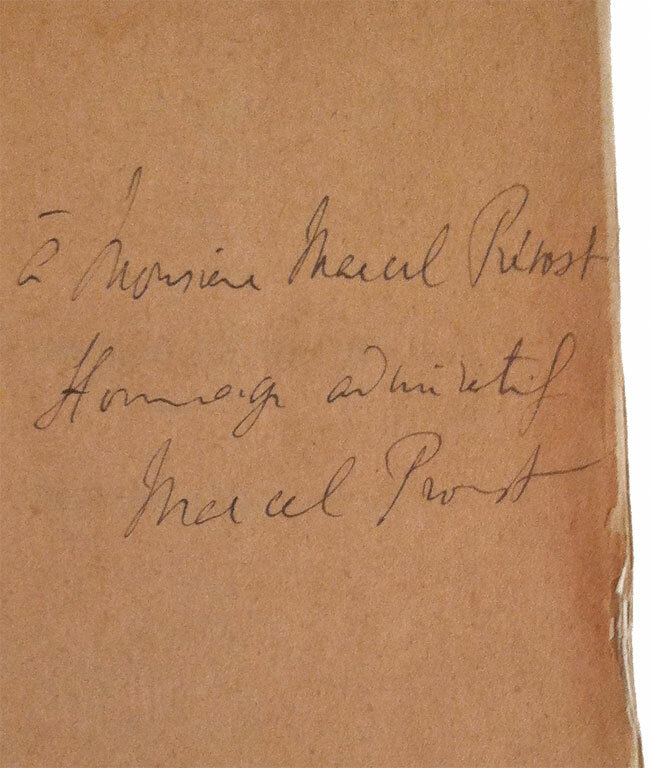 From Honey & Wax Booksellers, this extraordinary, fine first edition of � la Recherche du Temps Perdu, inscribed by Marcel Proust to fellow writer Marcel Pr�vost, includes the scarce first issue of the first volume. All thirteen volumes in original paper wrappers printed in red and black and original glassine. Price: $65,000. For more information, visit honeyandwaxbooks.com. 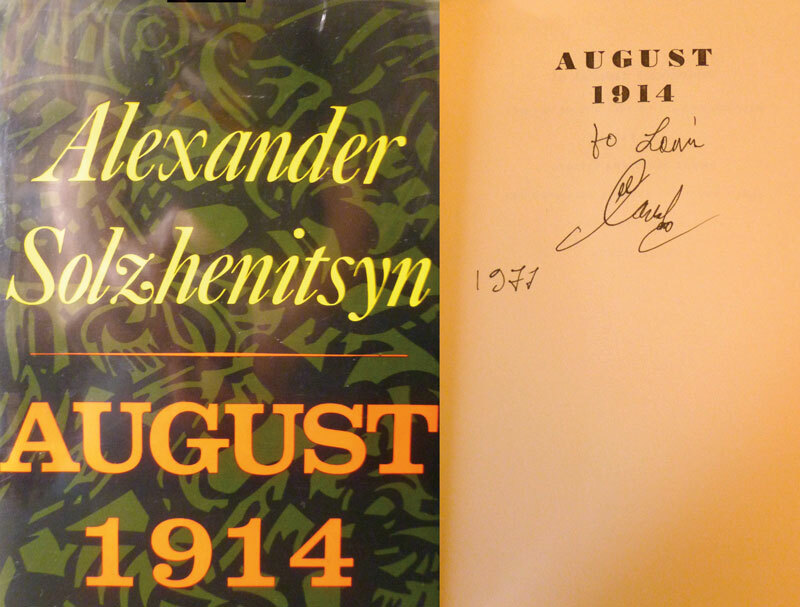 Brooklyn Books plans to bring a very good, inscribed first edition of Alexander Solzhenitsyn’s August 1914 ($1,000) as well as a 1938 letter addressed to Heinrich Himmler and signed by Karl Jung, bearing the stamp of the SS main office. Housed in a very special cloth and leather clamshell case ($1,600). For more information, visit brooklynbooks.us. Boomerang Booksellers of Northhampton, Massachusetts, will offer Arthur Rimbaud’s A Season in Hell, illustrated and signed by Robert Mapplethorpe. This edition, published by the Limited Editions Club in 1986, is bound in full red leather with stamped gilt lettering on the spine and front cover. 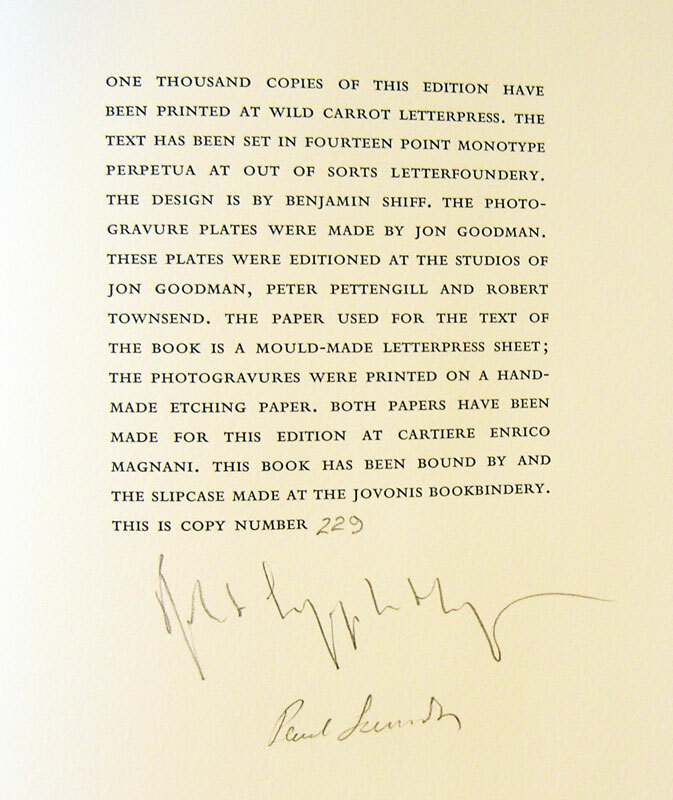 Illustrated with eight original hand-pulled dust-grain photogravures by Mapplethorpe (printed by Jon Goodman) and housed in a black cloth over board slipcase. It is number 229 of 1000. Price: $1,150. For more information, visit boomerangbooksellers.com. New this year, the Shadow Show will feature a Fine Press Book Fair within the larger fair. In collaboration with the Fine Press Book Association, the Fine Press Book Fair will feature an additional sixty-five exhibitors, including Caliban Press, Midnight Paper Sales, and Two Ponds Press. For more information, visit flamingoeventz.com. Images courtesy of the featured booksellers.